As we drove past the Zagreb Art Pavilion for the fourth time in ten minutes, a small crowd was starting to gather. A couple of minutes later, our fifth circuit was greeted with sarcastic applause. There was barely concealed laughing. Some were pointing. Minstrels were busy composing songs. Having successfully navigated our way from the Adriatic coast to the center of the Croatian capital, the signs that had prominently and reassuringly guided us to our chosen hotel had disappeared – to be replaced by arrows which stubbornly refused to point in the required direction. Our map clearly indicated the existence of the hotel and its street, but apparently it was inaccessible from all directions. We were consoled by the thought that, if we do eventually arrive, we’ll probably have the place to ourselves. Since our arrival in the country three days earlier this was not our first flirtation with the wrong turn – although, admittedly, none of the previous occurrences had enjoyed such frequency or patronage. 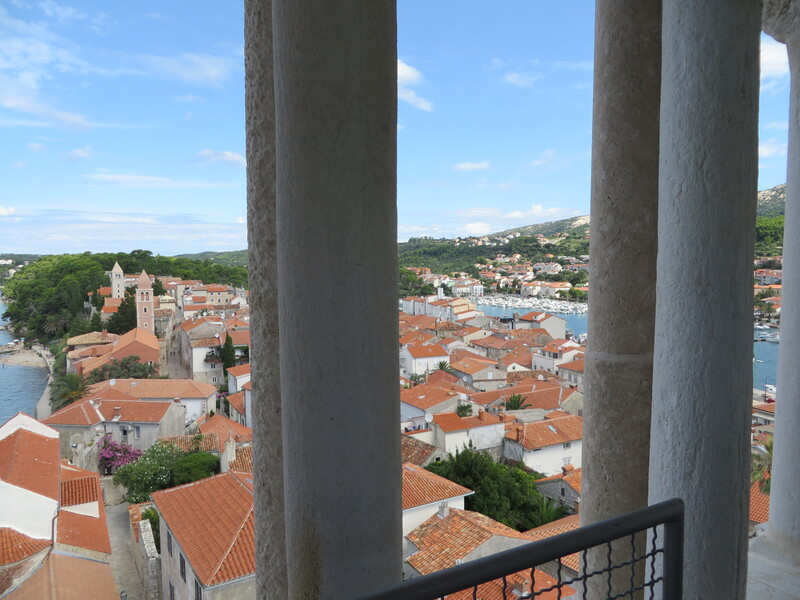 We had landed in a rain-lashed Croatia with only a vague idea of what we were going to do. There was talk of lakes and islands and cities, but the return flight was the only plan. However brief the journey, it’s this venture into the unknown, this absence of a plan that quickens the blood and stimulates a tangible sense of the possible. Travel in its purest form requires no fixed itinerary, no advance reservations, and only a vague sense of how you might spend your time; for you are trying to launch yourself upon the haphazard drift of circumstance; upon the vagaries of chance and luck. And travel, in its purest form, requires no GPS. At the airport’s hire car desk we eschewed their GPS offering, instead trusting to our sense of direction and to a yet-to-be-acquired map from the tourist information center. When the accuracy of that map was quickly found wanting in the somewhat crucial elements of roads and place names, our sense of direction was left to fend for itself. It lasted about twenty minutes. Suspecting from the road signs that we were heading to the south east instead of the south west and now clearly in an area well beyond that covered by the tourist center map’s dubious accuracy, we pulled into a petrol station and bought a real one. There’s still something magical about the tactile joy of the folding map. I can scarcely resist the urge to trace a finger along its colored lines connecting unfamiliar place names; to plot an inventive and circuitous route through towns and villages that lay between where I am and where I think I might want to end up today. I recall my fascination with the Ordnance Survey maps of my British childhood; their snaking contour lines that allow a third dimension to rise from the page; their symbols denoting windmills, lighthouses (active and disused), golf courses; their distinction between important buildings and mere buildings. Although a far cry from Ordnance Survey magnificence, our latest acquisition did not disappoint, in that we were soon able to work out where we were. Our target destination for the day – the Plitvice Lakes – had not changed, but our route to get there clearly required a recalculation. We plotted a route out of Croatia, into Bosnia and Herzegovina, back into Croatia and up to the lakes. As we traced our path, as road signs dutifully announced each expected place name, as we mangled the pronunciation of the next one, even as “I think we should’ve turned there” was occasionally heard from the passenger seat, we advanced towards our goal. Finally, as our car came to rest outside a hotel whose last available room we happily occupied, our sense of achievement was palpable. With GPS, we would still have found and witnessed the beauty of the lakes – although we wouldn’t have detoured through another country to do so. 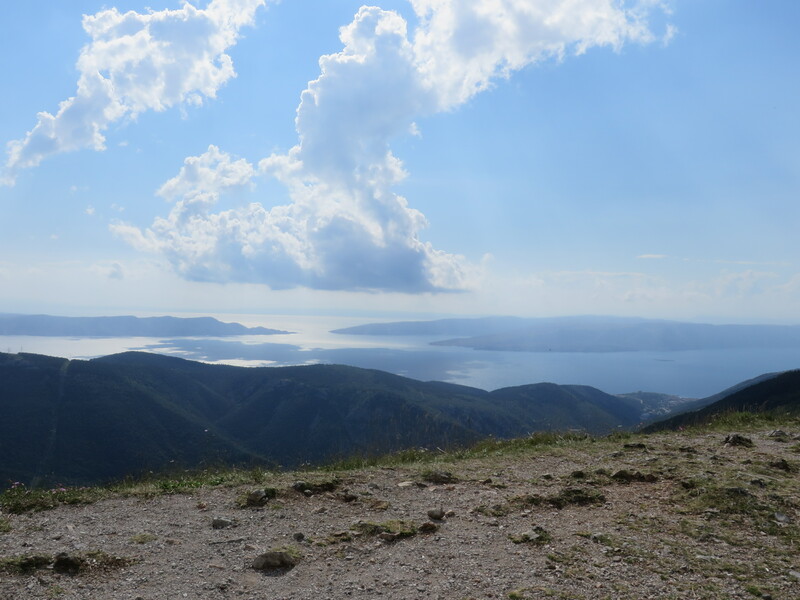 With GPS, it’s possible that we may have been on the road that caused our collective and involuntary gasp of amazement as a crested hill revealed the Adriatic Sea far below. But, with GPS, we would not have taken an instinctive turn that led to the ferry to Rab Island and, in turn, to its historic and splendidly scenic main town. During the return flight, as Croatia disappeared beneath our climbing airplane, I reflected on our all-too-brief visit. My thoughts quickly turned from the experiences themselves to how they were immeasurably enhanced by their largely accidental nature and by our choice to be left to our own devices – paradoxically, without a device. Shortly, a metaphor for modern life occurred to me. Two people are heading towards the same goal. One programs his goal and the fastest possible route is determined. He moves relentlessly forward, oblivious to anything not immediately in his way. Should he stray from the path, even briefly, the error is quickly identified, the route recalculated and, with little deviation or delay, he returns to the direct route to his goal. There are no distractions. There are no alternative destinations. The solitary goal remains. The other finds his current location, identifies his goal and, from the multiple available options, selects his route. He moves forward, occasionally stopping to enjoy a view or to immerse himself in an unanticipated event. Should he stray from the path, the error may not be identified until – perhaps years later – an expected signpost fails to show. His attempts to return to the intended path may compound the problem. Or he may simply choose not to return. During his pursuit of a solitary goal, he may get lost and find a better one. The shortest of European sojourns and an old-fashioned folding map confirmed for me that there is a world of possibility between where we are today and where we hope to be tomorrow – and almost all of it lies beyond the most direct path between the two. So, and I say this in the politest possible way, get lost. Revel in the uncertainty that follows the wrong turn; relish the unexpected places you see and the company of the people you meet there; embrace the vagaries of chance and luck. The course corrections you make after that first wrong turn may not take you back to the path towards your original, solitary goal – but they’ll probably take you to where you should be.